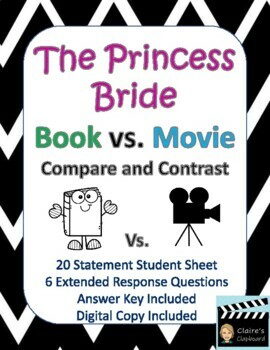 In this assignment, after students have read the book and watched the movie, they will read twenty statements that happen in the book, movie, or both. 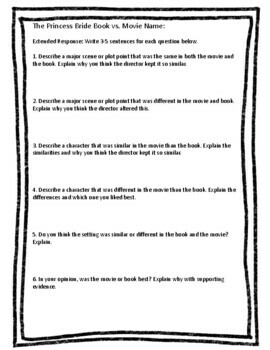 Students will then read these statements and identify which ones apply only to the book, only to the movie, or to both. 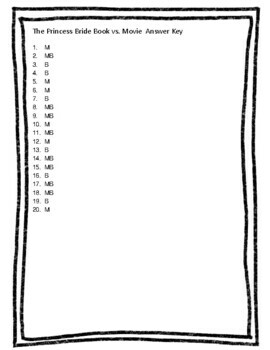 There are six extended response questions and an answer key provided.